We’ve seen a lot of new 2-in-1 tablets during CES this year but one of the most interesting ones is the new Dell Latitude 7285. While it has a lot of features that we’ve seen from the Surface lineup and other convertibles, it is the first one that supports wireless charging. So you can charge the tablet without any cables – very nice. The Latitude 7285 is 12 inches big and will be released with three optional keyboard docks and covers. The first one is called travel keyboard and is very thin – similar to Microsofts type cover. Then there’s the productivity keyboard that has an extra battery inside which gives the tablet a runtime of over 9 hours – without it the battery lasts up to 6 hours. The most exiting one is the wireless charging keyboard. With the wireless charging keyboard you just have to place the tablet onto its charging mat and the Latitude 7285 gets charged. Without any wires. In fact with this keyboard you don’t even seem to have the option to charge it with a standard charging plug. If you don’t want to use wireless charging you have to get one of the other keyboards. 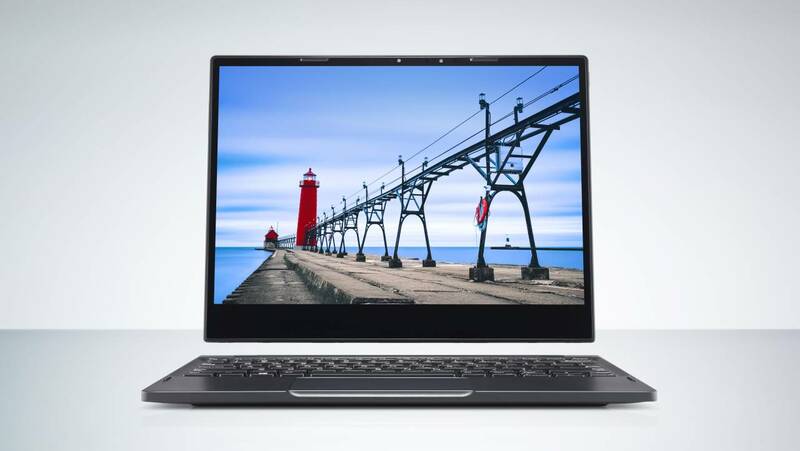 Dell gave the Latitude 7285 very high specs. The 12.3 inch display has a 3k resolution with 2880 x 1920 pixel, is protected by gorilla glass 4 and supports an active stylus. You’ll be able to get it with Intels newest Kaby Lake Core i chipsets, 8GB to 16GB memory and a 128GB, 256GB or 512GB big SSD. Like most new tablets it comes with USB Type C, you even get two of them which both support Thunderbold 3. There’s an optional SIM card slot for the version with 4G LTE and a microSD card slot. On the back you get a 8 megapixel camera and a front HD camera with IR support for Windows Hello. You can’t buy the Dell Latitude 7285 right away – we don’t even have any pricing yet. Dell wants to release more details about the device during the Dell World event in May.